The New York State Senate majority conference is once again pushing a bill (Senate Bill S6760) that would repeal New York City’s cap on residential floor-area-ratio (FAR) in the Multiple Dwelling Law, which would lead to dramatic citywide increases in bulk and density without sufficient public review. The State Legislature must stop this proposal from being pushed through in the final days of the legislative session. This same tactic was used in 2016 and successfully stopped following advocacy by members of MAS and the urban planning community. 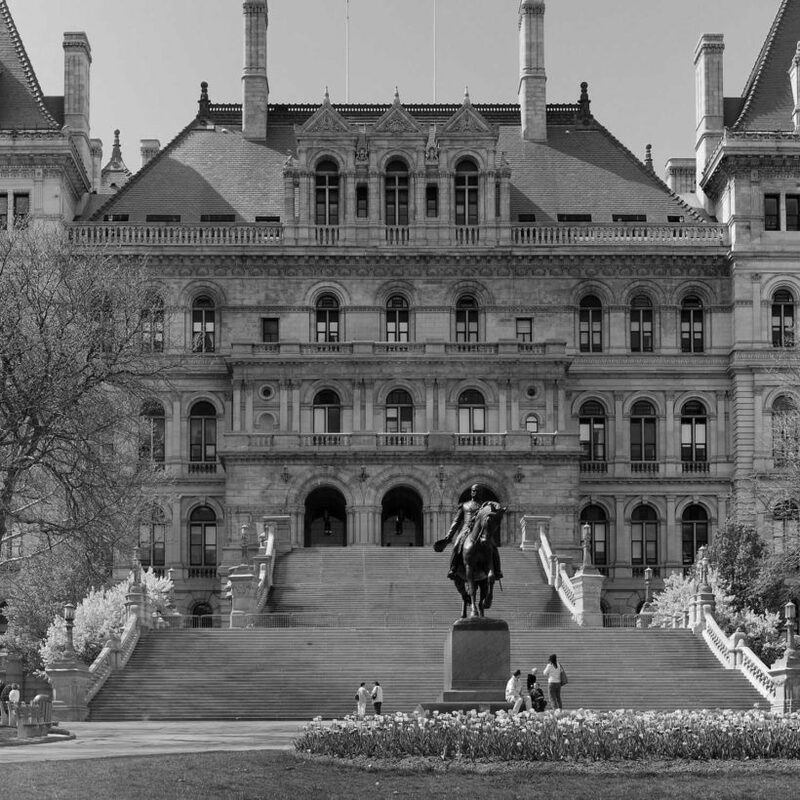 East face of the New York State Capitol in Albany, New York. Photo: Wikimedia Commons, UpstateNYer. 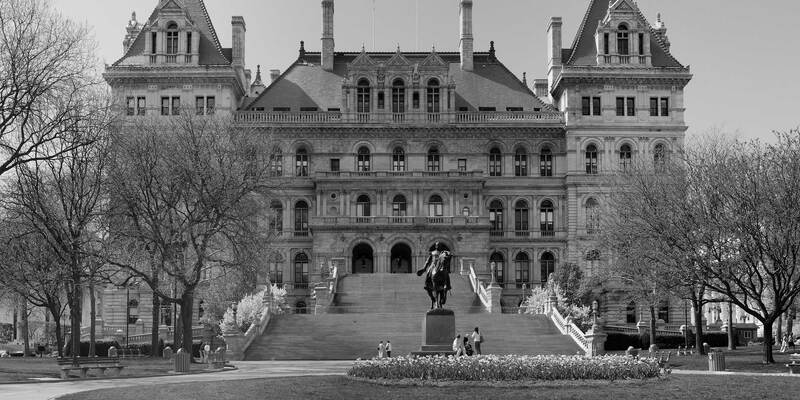 Contrary to the assertions being made in the sponsor memo, the Municipal Art Society of New York and other urban planning groups have identified glaring flaws in the zoning resolution and public review process that need to be corrected before the FAR cap can be lifted. Removing the FAR cap now would open the door to further abuse and exploitation of development loopholes, bringing more density to neighborhoods whose underlying infrastructure—parks, schools, subways, etc.—is already overburdened. To read more about our concerns, read our memo sent to State legislators detailing our opposition to this bill. This repeal would be one of the most significant changes in zoning in more than 50 years, and it is being pushed through with little consideration of its impacts. The State Legislature must vote no on any attempt to repeal of the FAR cap. Use the form below to urge our State representatives to reject this dangerous bill. Help us continue our policy work on behalf of New York City for the next 125 years.